An online image gallery of the PMG-graded notes from two great collections can be viewed at PMGnotes.com. 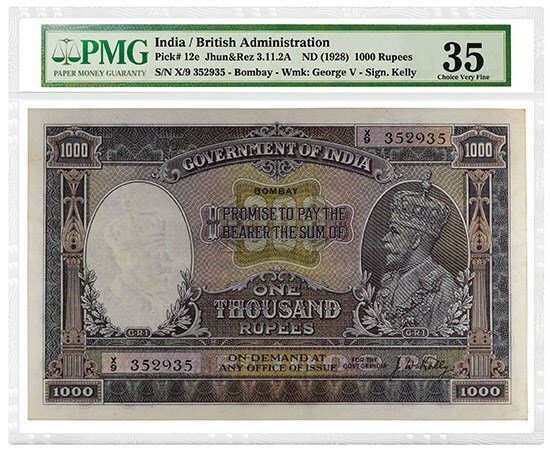 More than 150 banknotes that were certified by Paper Money Guaranty® (PMG®) from two important collections are being offered in a Spink auction in London, April 17-18. 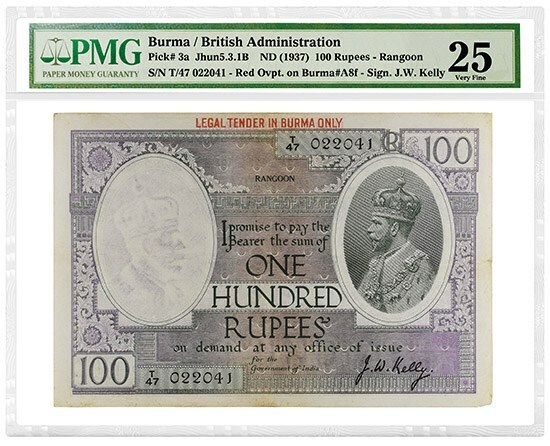 They include 97 PMG-certified banknotes from the Michael Muszynski Collection of Sub-Saharan Africa and 62 PMG-certified banknotes from the Joanne and Edward Dauer Collection of Burma, Ceylon and India. The Muszynski notes were graded during PMG's first on-site grading event in London in January 2019. 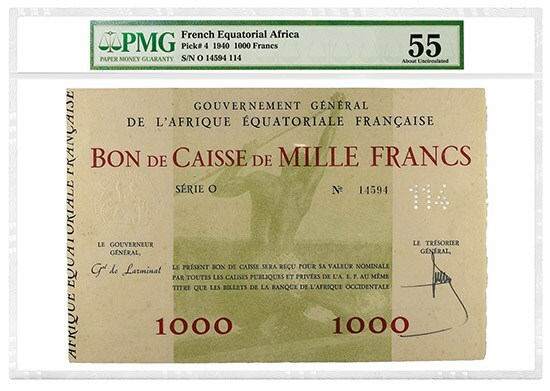 They are a vibrant collection of various denominations of the franc, underscoring France's historical ties with countries such as Cameroon, the Central African Republic, Chad, Gabon and Mali. French Equatorial Africa 1940 1000 Francs, graded PMG 55 About Uncirculated. 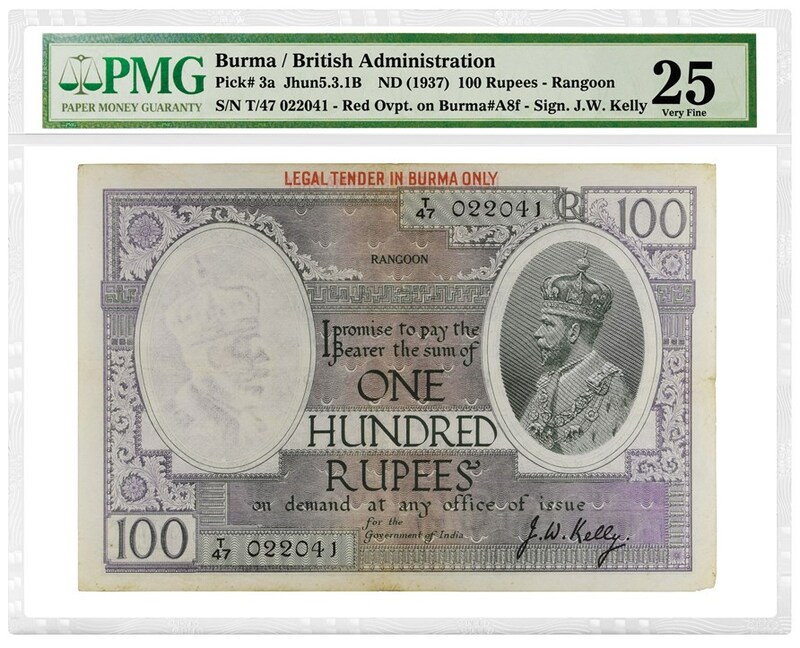 Burma Undated (1937) 100 Rupees, graded PMG 25 Very Fine. 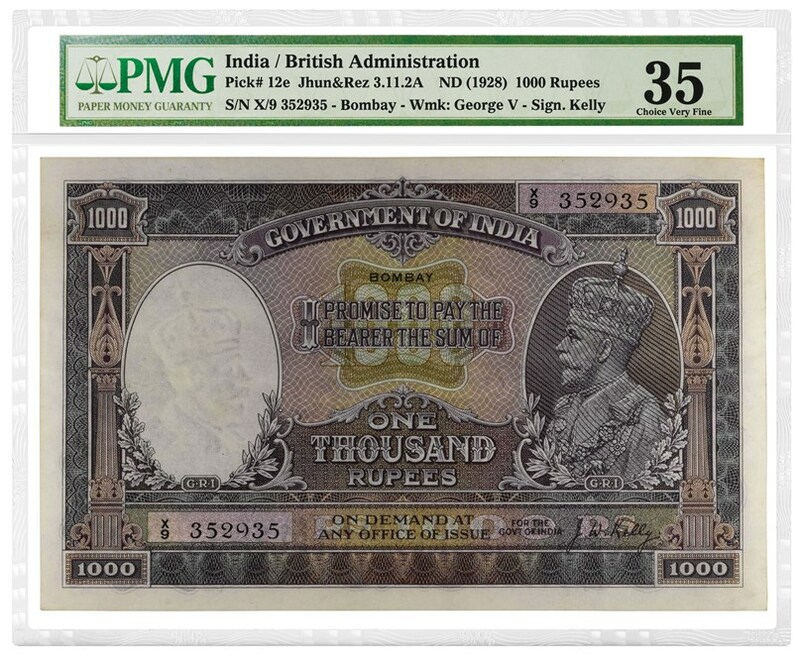 India Undated (1928) 1,000 Rupees, graded PMG 35 Choice Very Fine. “We are delighted to work with global powerhouses like Spink and some of the hobby's top collectors to certify rarities like these," said Steven R. Eichenbaum, CEO of PMG. "With the backing of our comprehensive guarantee of authenticity and grade, collectors and dealers can feel confident when bidding on PMG-certified notes."